The United Nations does not need to deploy a peacekeeping operation in Ukraine unless the monitoring mission of the Organization for Security and Co-operation in Europe (OSCE) fails, member of the Dutch Socialist Party Tiny Kox told Sputnik news agency Tuesday. MOSCOW (Sputnik) – In March, the Ukrainian government requested the UN Security Council and the EU Council deploy an international peacekeeping operation in the regions of Donetsk and Luhansk. “It is OSCE which was asked to monitor the cease fire agreement and the other elements of Minsk 2. Only if OSCE would consider it impossible to deliver on this obligation, new arrangements would be needed,” Kox said. On Monday, Russian Foreign Minister Sergei Lavrov voiced hope that Kiev’s statements regarding the necessity of placing peacekeepers in Ukraine's Donbas was not a tactical trick, in an interview with Rossiya Segodnya news agency's director general Dmitry Kiselev. Lavrov said such tricks are sometimes used during negotiations when one of the sides wants to buy time. Senator Kox urged all parties involved in Minsk Agreements, worked out in February in the Belarusian capital, to reconcile the military conflict in Ukraine, and to concentrate on fully implementing the deal. Under the deal worked out by the leaders of Russia, Ukraine, France and Germany in February in Minsk and later signed by Kiev and pro-independence fighters of Donbas region, the OSCE has been given the responsibility of monitoring the situation in the country. 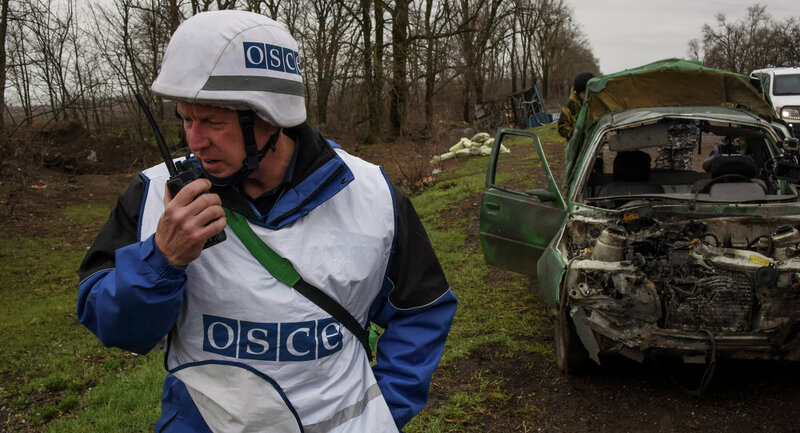 The OSCE focused on overseeing adherence to the February 15 ceasefire and the withdrawal of heavy weaponry from the line of contact. 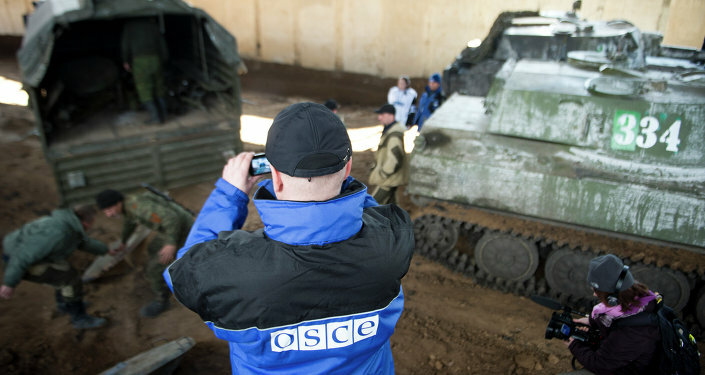 In March, OSCE Secretary General Lamberto Zannier doubted that a UN peacekeeping operation in Ukraine would be more successful than the present mission of the OSCE. The first Minsk Agreements reached in September 2014 had no practical results in the Ukrainian conflict.